Are you prepared to shop till you drop? 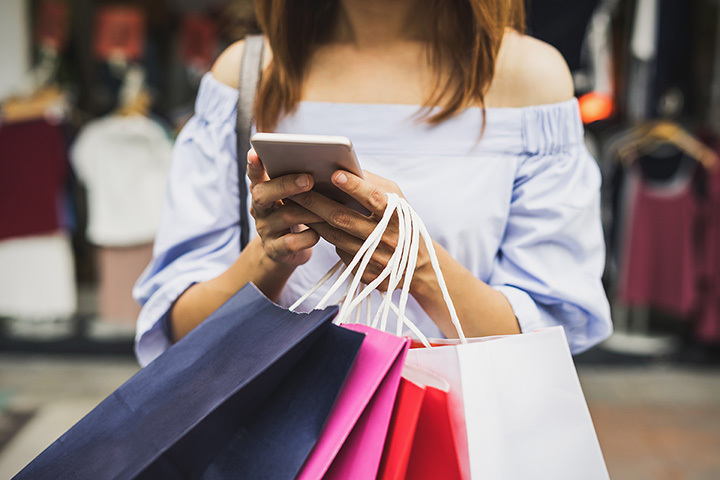 Whether you’re looking for new clothes, a fresh pair of shoes, or home décor, the great shopping outlets and centers of Michigan have everything you’ll need—and sometimes for a very reasonable prices! Here are the best in the state. Byron Center's Tanger Outlets has a lot going for it, with stores ranging from American Eagle Outfitters to a Book Warehouse outlet to Bath and Body Works. It runs the gamut of items available, but doesn't just stop at shopping. It also offers a string of special deals and events throughout the year, and won't even make you leave the mall to get something to eat while you're there. With a food court covering the basics of pizza, chocolate, sandwiches and Starbucks, you'll have most everything you could ask for on hand. Birch Run Premium Outlets, found appropriately enough in Birch Run, offers a wonderfully wide range of shopping options for those who arrive here. Whether you're looking for Bose stereo gear, a Harry & David gift basket, camping gear at Coleman or any of a wide variety of clothiers, you're covered here in grand style. Special events like May's Military Appreciation Month—which features several discounts and reserved parking for veterans—help round out the operation to make it one of Michigan's finest. Great Lakes Crossing Outlet in Auburn Hills boasts 185 separate outlets and attractions, including a wide range of clothiers, restaurants, and other attractions. It's actually the largest indoor outlet mall Michigan has to offer, so if you want to see a real landmark in Michigan shopping, Great Lakes Crossing Outlets is the place to start. Check out restaurants like Bar Louie and Rainforest Cafe, or attractions like the Legoland Discovery Center, Round 1 Bowling and Amusement center, or Sea Life Michigan, home to a 35,000-square-foot aquarium. Outlets at West Branch has recently—late December 2017 recently—undergone a change of ownership. A variety of changes have been put into place and a lot of excellent things are to come. Find stores such as an Eddie Bauer Outlet, to Coach, to Gymboree. Cited as having an unusual design even among outlet malls, the Holland Town Center in Holland offers a unique intermingling of well-known retailers like Carter's and the Gap with local fare like Eight Day Farms and Funky Buddha Yoga Hothouse. That combination of the big national names and the small local operations gives Holland Town Center a unique perspective and a well-earned slot on the list. Also in Holland, the Shops at Westshore actually started life as a standard indoor mall before becoming an open-air outlet mall concept. Major stores like Dunham's Sports and Edible Arrangements intermingle freely with lesser-known stores like DiscTraders and ATI Physical Therapy. An outlet mall wouldn't be complete without a few restaurants, and with Chipotle, Noodles & Company, Potbelly Sandwich Works, and On the Border all chipping in, a complete experience is waiting for you. Cherryland Center offers up a nice range of options for the shopper. This former indoor mall turned outdoor has such features as resale shop Plato's Closet and even Sears. Special events, like a recent indoor garage sale supporting Relay for Life, round out the roster and provide shoppers with a full and memorable experience.